Robot Concept Art 1—Wait, robots? We are trying to unify the designs for all the characters in Hackberry Hollow, including character designs that come much later. 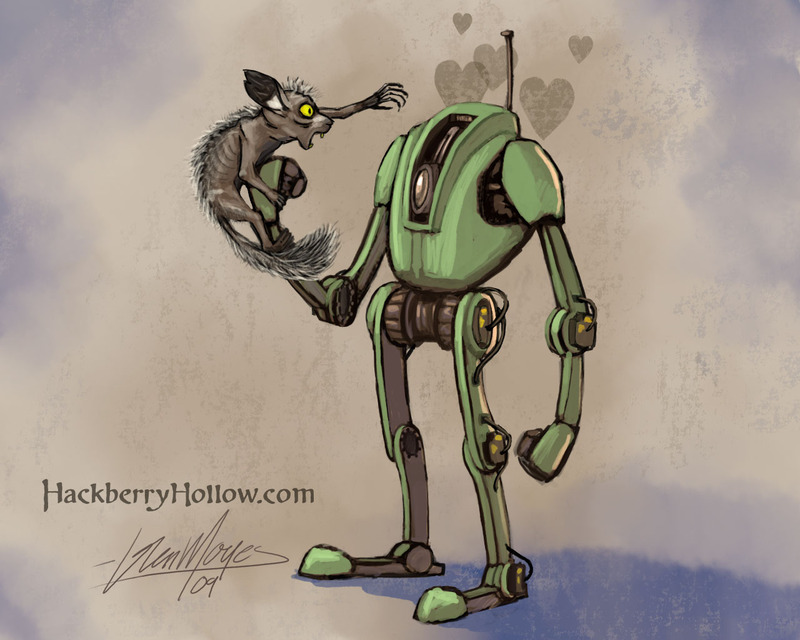 So here’s a painting of one of the robots in the world of Hackberry Hollow—oh, and also one adorable little critter. Here’s the drawings from my sketchbook that led up to that design. Over the past year I’ve done most of my sketching on a tablet or more recently a Cintiq, instead of with pencil and paper because I lacked a drawing table. But when I’m out and about and away from a computer you can’t beat a good ol’ sketchbook. I’m getting into the habit of sketching with pencil more when I’m working at home. It will be good to experiment with which process works better for me since it’s been so long since I’ve actually used pencil and paper for serious work. Maybe it’ll be faster. There’s only one way to find out. 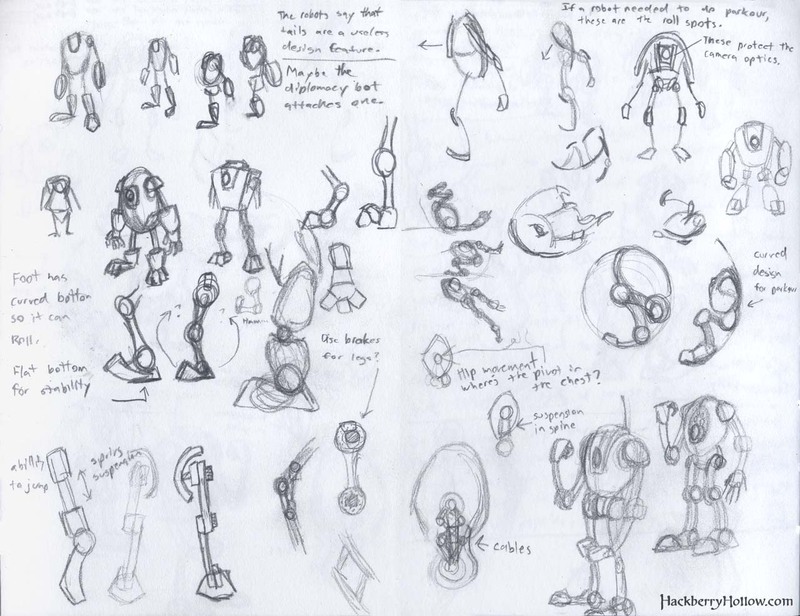 3 Comments to Robot Concept Art 1—Wait, robots? This work, although extrememly compelling, lacks some detail, and is very basic. It would be better if small buttons or shades were added. This is more of a greetings card piece of art, rather than an amazingly detailed piece. But well done for trying!